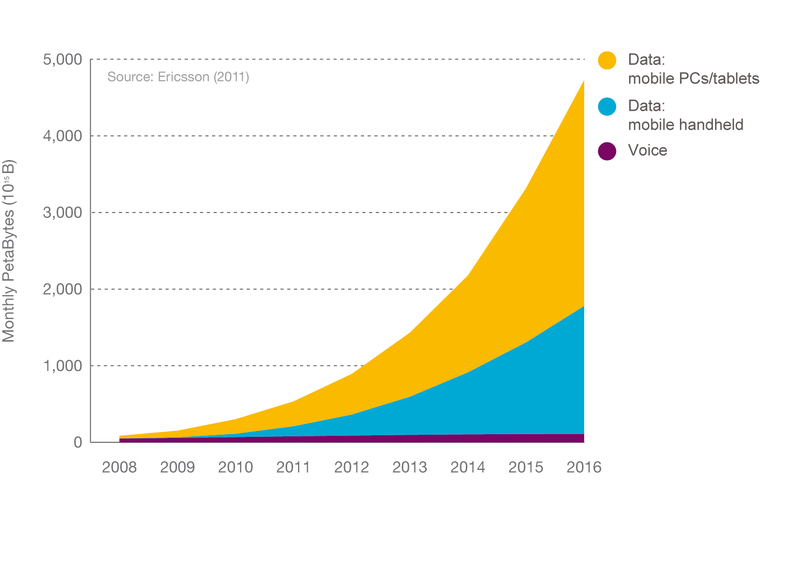 In its new Traffic and Market Data report, which provides insights into current trends, Ericsson (NASDAQ: ERIC) forecasts a 10-fold increase in mobile data traffic by 2016. The report is based on measurements the company recorded over several years in live networks covering all regions of the world. Johan Wibergh, Head of Ericsson Business Unit Networks, says: "Ericsson performs a broad range of measurements in order to monitor the pulse of the Networked Society - measurements that we use to efficiently design our products and plan networks. This report offers snapshots that, together, show how a growing number of people and businesses benefit from mobility, broadband and the cloud." According to the report, mobile broadband subscriptions will reach almost 5 billion in 2016, up from the expected 900 million by the end of 2011.That would represent 60 percent year-on-year growth, at the same time as the data consumed by smartphone users is surging. 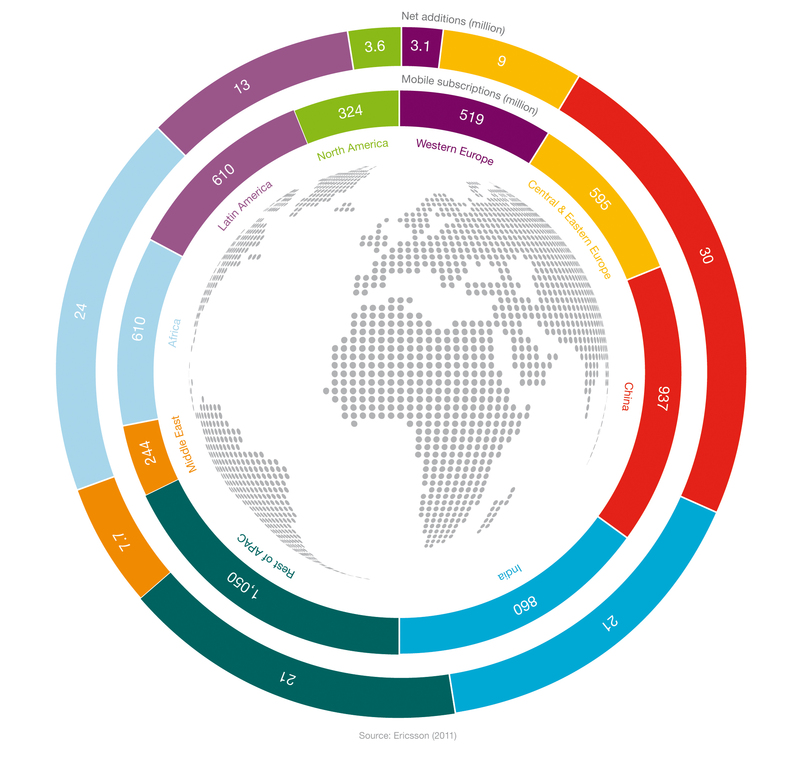 Total smartphone traffic is expected to triple during 2011. Across all devices, internet access will continue to drive mobile traffic development and mobile data traffic is expected to grow by nearly 60 percent per year between 2011 and 2016, mainly driven by video. By 2016 more than 30 percent of the world's population will live in metropolitan and urban areas with a density of more than 1,000 people per square kilometer. These areas represent less than 1 percent of the Earth's total land area, yet they are set to generate around 60 percent of total mobile traffic. 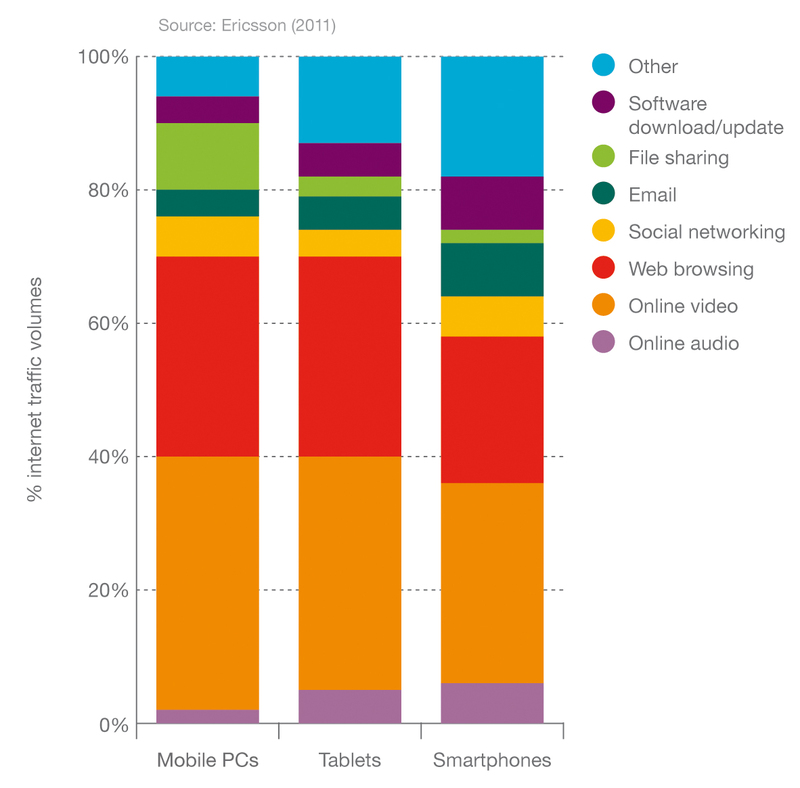 Mobile broadband, new smartphone launches and applications uptake will continue to drive data consumption. 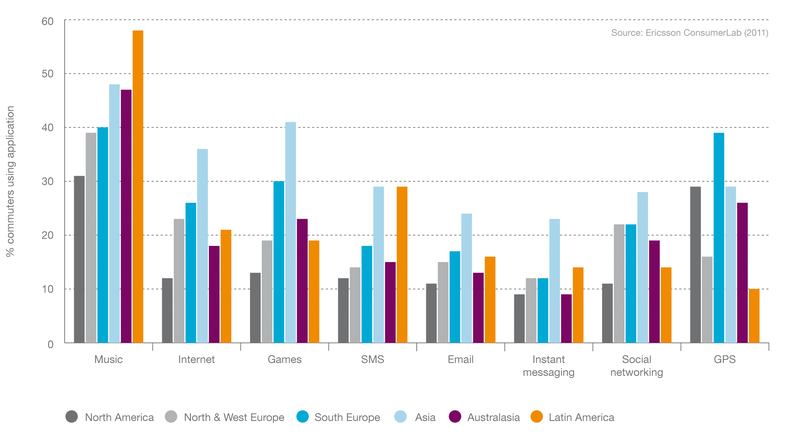 At the same time, there is strong momentum for smartphone uptake in all regions. 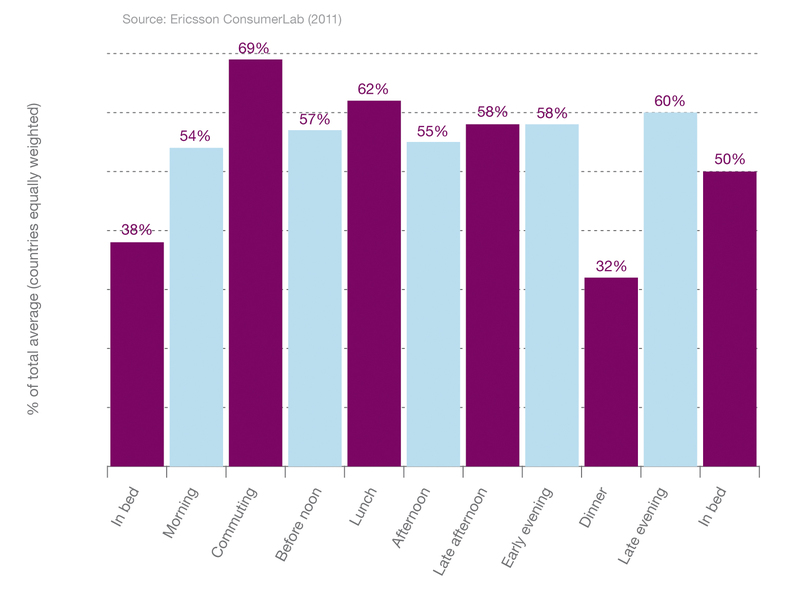 Ericsson expects traffic generated by advanced smartphones to increase 12-fold to roughly equal mobile PC-generated traffic by 2016. 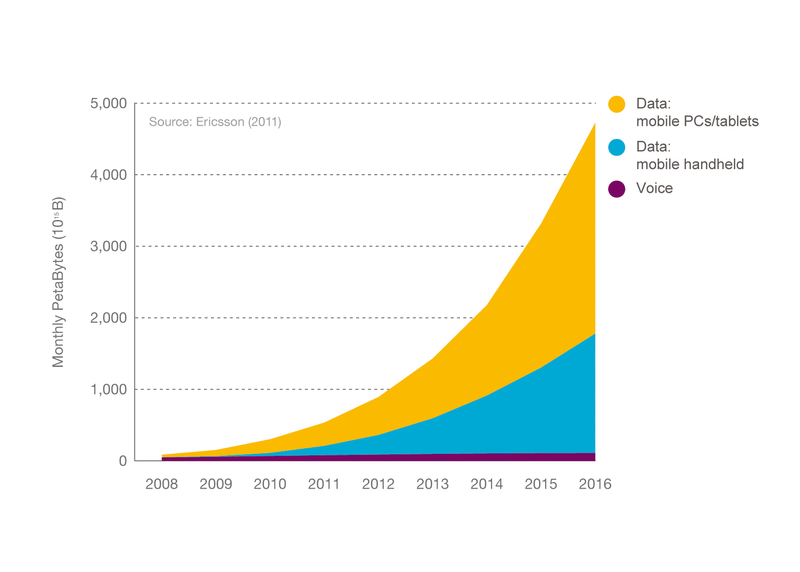 Ericsson's presence in more than 180 countries, where it supports more than 1,000 networks, enables it to measure mobile voice and data volumes. 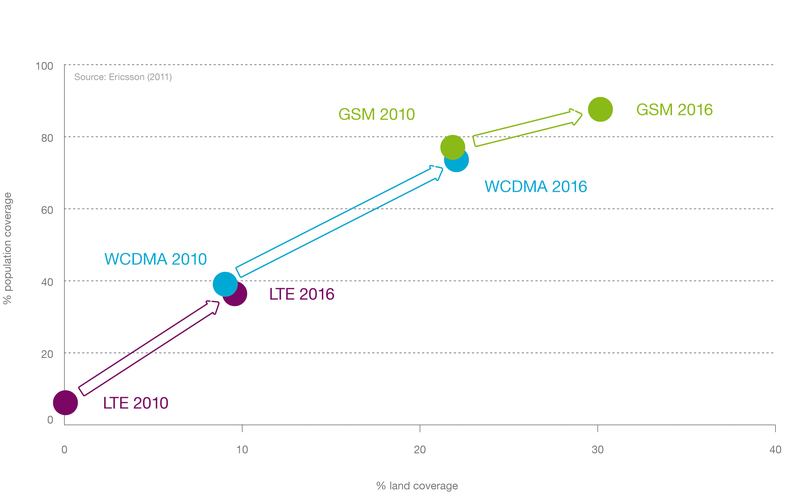 The result is a representative base for calculating world total mobile traffic in 2G, 3G, and 4G networks.